Mr Martinez has worked wonders with a limited budget and is making the most of what he has. His two on-loan signings of Gareth Barry and Romelu Lukaku were inspired. And with the emergence of Ross Barkley as the young star this season the team are enjoying life in the top four of the premier league. More importantly they are a joy to watch. Congratulations Roberto Martinez, your hard work and dedication will no doubt be rewarded. 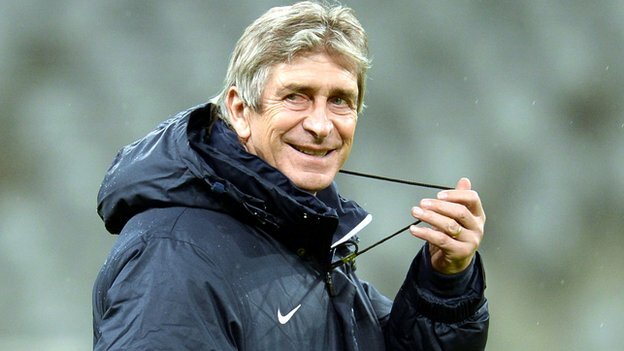 Tiny Tim – Manuel Pellegrini (Manchester City) – What can we say about the Manchester City manager? He has been given everything he needs to be strong, and yet he keeps tripping up and falling flat on his face. Note City’s poor away form and the Champions League debacle where he failed to get the math right and score that all important goal that would have lifted his team to top of their group (thereby avoiding Barcelona in the knockout stage). It may be Pellegrini’s first season in the premier league, but City need to start winning away from home, and if they can get that right, they will be able to throw away the crutch that is holding them back and will get stronger every day. Ebenezer Scrooge – Arsene Wenger (Arsenal) – So Mr Wenger is not the squeezing, wrenching, grasping, scraping, clutching, covetous, old sinner that epitomized Mr Scrooge. But for goodness sake, the man needs to start spending some money to bring success back to the club! Arsenal have been sitting on a rather substantial transfer fund for a number of years but seem reluctant to open up the purse and purchase some quality players. This season they find themselves at the top of the league, but cracks are starting to show and it will be interesting to see if they can keep up their early season form going into the New Year. Many believe (after their 6-3 loss to ManchesterCity last weekend) there was a ‘seismic shift’ in power and Arsenal will start sliding down the table. What they need is strength and depth to their squad. So come on Mr Wenger, fill the fire with coal, throw out the candle, turn on the lights, make the place warm and start spending some of that hard earned cash. Manager Christmas – past – Andre Villas Boas (Tottenham) – What can we say about Mr Villas Boas but it was a disaster waiting to happen. If you spend over $200m dollars on new players are getting humiliated every week, and playing some of the blandest football the Premier League has seen, it was time to go. For Andre Villas Boas, he will need to replay the chain of events that occurred around Christmas 2013 in order demonstrate the necessity of changing his ways. Manager Christmas – present – Alan Pardew (Newcastle) – The Newcastle manager is the manager of the moment. Many believed he would be the first manager to be sacked this season – he has a dinosaur for a Technical director, a nightmare for a chairman and a squad that can barely communicate with each other due to the abundance of French players who struggle to speak English – but he is still going strong. Newcastle find themselves in sixth position in the league and Pardew has just been named Manager of the Month for November. Keep it up Alan Pardew and the future could be very different indeed. Manager Christmas Future – David Moyes (Manchester United) – David Moyes has a chance to shape his future. Make sound transfer market purchases in January, find the key to motivating his beleaguered squad and learn to adopt an aggressive style of play, then come May he will be in the top four and heading to Europe next season. However, fail to buy a quality midfielder, continue to watch his team stumble around looking for answers and lose the confidence of the dressing room then his future will not be a happy one. The Manchester United manager needs to figure out a way of coping with one of the toughest jobs in football right now, to loose the ghost of Sir Alex Ferguson and start making the team his own. While United won’t be crowned Premier League Champions this season, if David Moyes can get Manchester Untied believing in themselves again and embody the sprit of the club the players and the fans will love him. 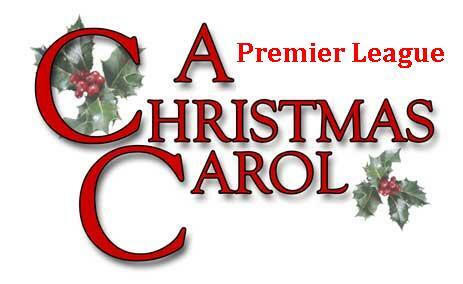 Happy Christmas to all the managers in the Premier league – God bless them, everyone! This is brilliant! Very inventive. I have written a post on Arsenal, give it a read and let me know your thoughts in the comments below! Thank you, I am glad you like it. Your Arsenal post was great, I really enjoyed it. I had thought about writing about Arsenal but better coming from an Arsenal Fan!